Flush panel means that door is unobtrusive in appearance. 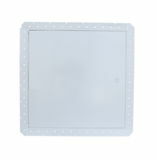 Outer frame has special drywall bead configuration so that drywall cement may be applied to cover and conceal the flange. Standard sizes fit standard wood stud or steel stud spacing of 12”, 16”, or 24” on center with no additional bracing. Special double-acting concealed spring hinges allow opening to 175 degrees for complete access. 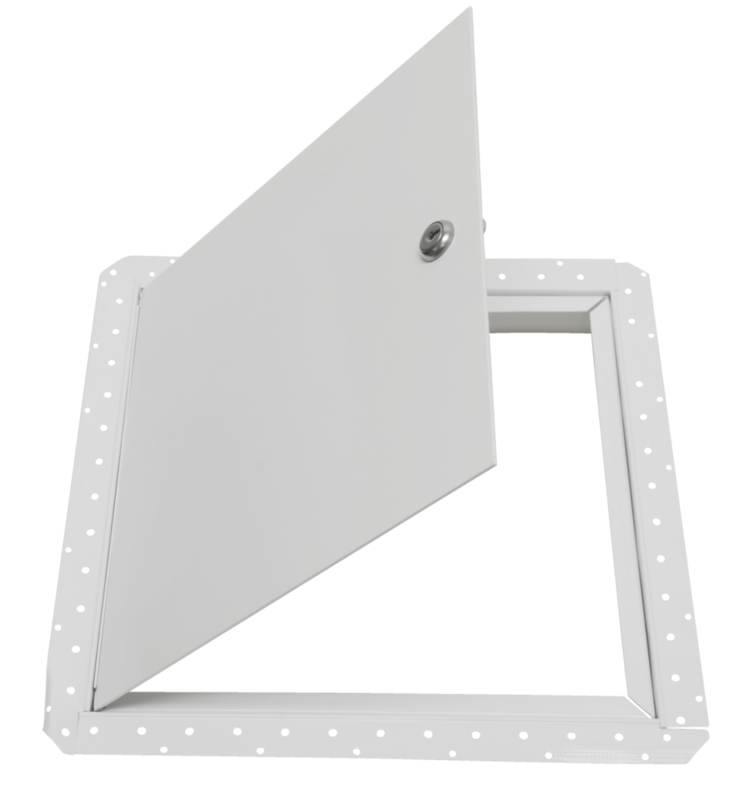 The Milcor DW Access Door complements drywall construction in a flush wall or ceiling installation. One cam lock centered at top and bottom of panel; balance of cam locks on side opposite hinge.